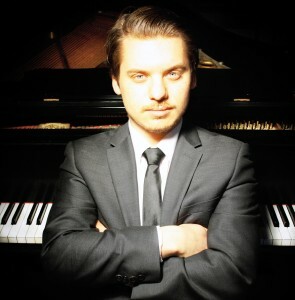 Born into a musical family, Daniel Tselyakov began his piano studies at the age of five with his father, well-known Canadian pianist Alexander Tselyakov. He completed a bachelors degree at the Oberlin Conservatory with Angela Cheng and a Masters with Jimmy Brière at Université de Montréal. He has won numerous scholarships, trophies and awards, including the McLellan Competition, Women’s Musical Club of Winnipeg Scholarship Competition, the Toronto Summer Music Academy, the National Canadian Music Competition, and the Manitoba Chamber Orchestra Young Player Award. Daniel has studied with legendary mentors including Sergei Babayan, Marc-André Hamelin, André Laplante, Marc Durand. At age 14, he performed Chopin’s Piano Concerto No. 2 as a soloist with the Penderecki String Quartet. He was the youngest musician ever to be invited as guest artist with the prestigious Virtuosi Concert Series, and was selected to play at the Kennedy Center in Washington, D.C highlighting the best students from Oberlin. 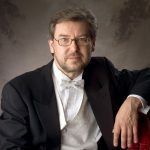 He has performed alongside violin virtuoso James Ehnes, and has appeared as a soloist with the Winnipeg Symphony Orchestra, the Canadian Sinfonietta, the Winnipeg Symphony Chamber Orchestra and the San Luis Potosi Symphony Orchestra.